DW : Alright, welcome to the show. I am your host, David Wilcock, and we have a truly remarkable man here we are speaking to, Corey Goode, who has come forward as an insider, telling us about this remarkable new world of what has been called the Secret Space Program. Corey, the scope of this program might be hard for some people to accept. Granted we went to the moon in 1969. Some people would say, we allegedly went to the moon. But it certainly appears we did, at least do some real thing on the moon, and then we never went back. They put the flag in there. They ran a few missions and oh, we’re done. We saw what we need to see. So, I think if you’re going to think about people settling outside Earth at all, most people, if they could even imagine that, would say, well, it’s probably not that much. What’s the real scope of what we’re dealing with? When the truth comes out, what are we going to learn? CG: Well, it’s going to be overwhelming. To learn that there is a vast infrastructure throughout the entire Solar System with everything from mining operations in the asteroid belt, and on moons and planets to procure raw materials to industrial complexes that produce technologies and colonies of humans beings that work in those industrial complexes, and support this large industrial machine that is throughout our Solar System. DW: We couldn’t build a base inside a gas planet right? Because it gets too hot, and there’s too much air pressure? CG: Yeah, too much pressure. DW: So if we want to look for these colonies, where would we be looking? CG: Colonies are basically what we call the area to where families and people live. CG: There are also all types of different types of facilities. 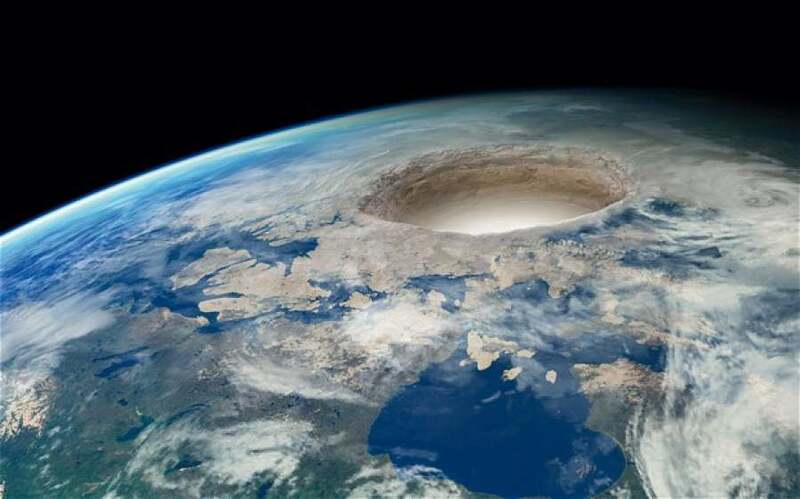 There are facilities in type inside hollowed-out asteroids that they’ve mined. There are facilities spread out across Mars, underneath of course, underneath the surface of Mars, and various moons of gas giants, and even our own moon. DW: Could you try to give us an estimate of how many different facilities or different places that have been built there are, let’s say, in our Solar System? CG: In our Solar System, everything from small security outposts that man 18 to 40 people on Mars alone, to facilities that float around in different Lagrange points throughout the Solar System. DW: Could you tell us what a Lagrange point is? CG: They’re areas between planets or bodies that have an uninterrupted gravitational, or an equal gravitational pull from all areas to where they can have a kind of geosynchronous, or stationary point to stay. And I really don’t have a firm number. There are hundreds of facilities out there. DW: What would be some of the larger of facilities in term of the staff, the amount of crew they would have? CG: Well, we talk about colonies, we’re talking about some of the larger ones that have upwards of a million people. DW: How many do you think there would be of that kind of size of population? CG: I don’t think there’s a lot of that have that large of populations, but quite a few that have into the hundreds of thousands. DW: Does it get colder and harder to live in a place as you get farther away from the sun? CG: That’s where advanced technology comes in. CG: We can produce the living conditions that are comfortable to us anywhere. And, even the Schumann resonance that occurs here on Earth. The Earth puts off a certain vibratory resonance that keeps plants and humans healthy, that Schumann Resonance is piped into spacecraft and facilities, colonies, to help keep the people healthy. And the barometric pressure, the gravity is controlled. DW: I was just going to ask about the gravity. Obviously, the Earth has a certain mass, and the gravitational acceleration, 10 meters per second squared, is proportional to the Earth’s mass. So, with the moons, it’s believed by NASA – they talk about this – that you would bounce around. So, how do they compensate for that if it’s smaller? CG: Well, they have gravity plating just like they do in the vessels, interlocking plating that are in the floors, that have electricity applied to it that creates a electro-gravitational field, that creates artificial gravity. DW: What are the sizes of the plates? Do they vary? CG: Well, the plates vary in sizes, because you have different size hallways. But there are plates about this (2-3 inches) thick that interlock like children’s building-block toys that interlock or dovetail together. DW: So, can you just give us a little more information about what would be the major categories? You said one type of a category of a place that would be built, an installation, would be a place where people live. Is that strictly utilitarian like just a whole bunch of rooms where they bunk, or do they have a nice, big atrium with a waterfall? Do they have big common meeting areas of auditoriums? CG: Usually, when I was on the research vessel, we didn’t normally get to visit them. These were owned by the ICC (Interplanetary Corporate Conglomerate). They were a corporate-owned colonies. If they did not access to one of their own people to fix a critical piece of machinery or technology that was damaged, there was usually a specialist aboard our research vessel that has that expertise. And then, on those special occasions, we were allowed to go to the colonies under strict orders to not talk or interact with any of the people at the facilities or the colonies. We were under armed guard. We were not offered tours, not offered a meal. We were escorted straight to the location to where we were to do maintenance and then, escorted straight back to our vessel to leave. DW: Could you come to Earth whenever you wanted while you were doing this work? CG: No. When you were doing your “20 and away”, you were totally cut-off from Earth, Earth news, everything Earth-related. We didn’t get any news any television, any information about what was going on Earth. DW: Were you allowed to bring books and magazines with you to read? I have been informed of an SSP Alliance Council Meeting as well as first encounter meeting with a newly formed Ancient Break Away Council on 9/03. I have fallen so far behind on reporting on other details that nearly a book a data download is now required before this meeting. I am not going to make any more promises of reports to come that I circumstances get in the way of. I will however attempt to get the details of recent briefings posted before this new round of meetings. I am wondering why I am being pulled into these when Gonzales has been taking point on these types of meetings recently. He has not been in contact with me as much recently after our last round of briefings and the contentious meetings with the SSP Alliance Council where they made sure I knew exactly what they thought of me and me being forced down their throats and then a followup meeting where they made amends. We have a strained relationship at this point but are required to work together right now. Quite a lot has had to play out with the Earth Alliance and the deals they have been striking with the Secret Earth Governments/Syndicates as well as their Non-Terrestrial allies. These are all things I have touched on lightly but have not fully reported on as promised. I apologize I have not gotten that data out to date. I had hoped for some more recovery time after my surgery before anything like this occurred but have actually been shocked that I have been left alone as much as I have. I think this was done after the threats and invasions of and against my family in recent months. Now is not a time to be deceived or controlled by prior belief systems. We need to keep our reality bubbles permeable yet strong while using our discernment with all information coming down the pipe including data delivered from my own. For each of us, focus on your inner work. Become more loving, forgiving an Service to Others on a daily basis. When we were children we were loving and service to others before the world squeezed it out of us. The faith and love of a child is something we should work to obtain once again in our daily lives. This may seem like a silly video to some but if it doesn’t move your heart maybe you are not yet on the right path. Keep your eyes open people. 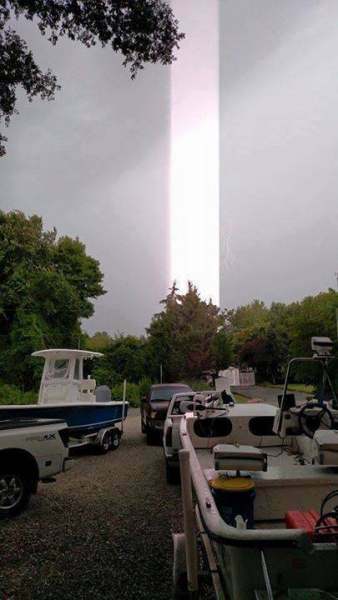 The pillar of light phenomenon is occurring again. It is nothing to be afraid of. This appears to be related to the changing of resonance of the Earth and to help it transition into a higher density in a less violent manner (EQ’s/Physical Pole Reversals etc…). Just as some orbs are camera artifacts so are some light pillars I am sure. This does not explain why/how people are seeing these light pillars with their naked eyes and then taking video and photo’s of them. The PTB first put out articles saying they were caused by ice crystals in the atmosphere when people were reporting seeing them with the naked eye and some of these pillars were video’d and photographed from different directions by various people all seeing the same phenomenon often in the clear blue sky… Those videos and images have been pulled as fast as they are posted and the only ones left up are the ones with clouds in the bk ground to back up the ice crystal article put out when this occurred last time. There are quite a lot of images of camera artifacts of this type and of orbs that people do not see with the naked eye and only see on the image after the photo is reviewed later. Taking a photo of something you see before hand rules out a camera artifact. But this goes to show that any photo/video evidence that anyone puts forward can be debunked quickly by TPTB or skeptics. Nothing but a personal experience will suffice for most people. There will be a global event where every eye shall see and every ear shall hear (Not to sound Biblical). The shadow wars between the cabal have heated up as well as the battle between Earth Alliance groups that have been infiltrated by the cabal and are now fighting over the financial system. There is much more going on in Asia than has been reported and there has been far more destruction in certain events than has been reported. There is heavy use of Energetic Weather and Earth Quake (EQ) technologies/weapons (Ground & Space based) as well as the use of the very few space based weapons in control of these groups (Low Earth Orbit weapons from the SDI/Star Wars Era). 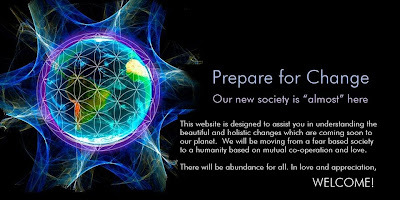 Notice when these groups attempt to make good on their threat to bringing war and strife to the surface of the planet the Sphere Alliance makes a peaceful counter move that is helping change the harmonics of our planet. The Draco Royals and Committee of 200 Chairmen are trying their best to make good on their threats after their deal of clemency was denied. These groups are being so reactionary right now they do not realize that they are hastening their own exposure and end with each and every action they take. Stay tuned for more information, I have a meeting tomorrow morning (early morning as usual) where I will receive more detailed information on recent events. Corey also categorically addressed a huge number of points related to the unfounded claims of detractors. If you are on the fence about timelines, predictions, AI pysop scares or in what capacity the Sphere Beings are assisting humanity – you’ll want to read and share this update. If you do not already have a GaiamTV subscription, and want to support Corey, use this link here: blueavians.com. For other updates by Corey GoodETxSG click here. To support Corey and his work click here. Sphere Being Alliance Cassidy is a whole other story and there is more than just her UFO Religious Beliefs and Agenda to protect in this situation. All of the skypes/emails I have between her and I when we first communicated were so bizarre that there is another component at work. If someone is being mentally triggered, manipulated or made reactionary is has not been myself. I have been thinking how to respond to much of this. I was looking over the communications with her (Including the ones where I had to get Google/YouTube Security involved because she outed my full name, used it without permission and after I had repeatedly told her I was to remain anonymous. After I politely refused an on camera interview (All she is really interested in) the 3rd time she decided she would out my name because “The cabal know who you are already”. Is this what potential whistleblowers want to face when coming out? Do they want to possibly have a researcher make a judgement call and decide that the whistleblowers security measures are silly so they might as well provide all of the data publicly? A person was put in place to split up Camelot in recent years and both parties have been living off of a legacy of some good work. Now that legacy is being risked by tossing around labels that will silence many of the future whistleblowers that may have come forward. Back “in the day” when their legacy was strong they would not have acted so cavalierly. Researchers often make the mistake of moving from covering a great story to feeling the need to write themselves into the narrative. This is seen with all of the detractors. We also see that they are also quoting information that is fragmented, taken out of context (Mis-Information) or in some cases have even conspired in communications to put forth information that they know is untrue to further their agenda. That is dis-information pure and simple. [I can not speak to the intentions of detractors, but when reviewing their commentary, in nearly all cases there is not a clear articulation of the ‘facts’. The facts in this case are what Corey has actually said, whether or not these things are actually true is unclear, but he did say them. The statements he has provided, his testimony, is real, which we can agree are ‘facts’. Kerry has put out an enormous amount of high quality work in a fairly objective fashion, and her recent, inaccurate, perspectives on Corey do not detract from this. All of this can be discussed as a process of discernment, which has 3 phases of progression; observation, contemplation and evaluation. How can we discern if a thing is true without first gaining complete knowledge about what it discusses? Can we determine if the sky is clear without actually looking outside? The ability to set aside our biases and preconceived notions about a topic is essential so we can observe it clearly. Then once we have taken stock of the topic, we can begin to contemplate it. This is where we put ‘facts’ on the table and compare them against each other. Once all the facts surrounding a topic have been evaluated, we can now conclude what we think it means; if it is true, if it accurately reflects reality. This is the final product of a discernment process, a possible conclusion. The quality of the discerned result depends directly on the preceding steps used. Again how can we determine the truthfulness of something without gaining knowledge of it first? What I have observed in nearly all the detractors is an incomplete set of observed data, which in turn skews the contemplation process. In the absence of all the facts, we tend to make conclusions based on what we do know, our pre-existing knowledge and preconceived notions. I just recently came across a forum thread where some were claiming Corey is an Illuminati Agent working to promote a Project Blue Beam agenda. The basis to support this conclusion, the observed facts, were Corey’s use of the word ‘blue’ in several updates. This is a highly dubious set of logic, similar to saying that because all people who drink water die eventually, then water must be their cause of death. Correlation is not causation, in other words, elephants are grey, but not all grey things are elephants. The “CABAL” or “Illuminati” (Who ARE AI Prophets) 1. Would NOT expose the incredible magnitude of the AI Threat to the population 2. Would NOT reveal the secret to black magic/power over us (Our Mass Consciousness) OR how WE can use it as a tool for our liberation from the Cabal… 3. Would NOT provide the details of the various SSP’s and their infrastructure when they have a good portion of their Military/Intel Agencies believing that the toys they are playing with are state of the art. 4. Detailing and Listing the Crimes Against humanity that evidence and witnesses are being compiled against that weren’t being discussed in conspiracy theories already (Interstellar Slave trade etc…). 5. Would NOT approve of humanity working on the power of their shared consciousness but also working to raise their vibrations and to become more loving/forgiving (Sound Luciferian yet? ), Service To Others or to free ourselves from karma and past pain by forgiveness of self or of others. I could go down and list many other reasons why these detractors are not only off base but in some cases have just become compromised themselves or are jumping on a bandwagon before they do any research what so ever! NO AI OR CABAL MIND CONTROL PSY-OP! The World is existing in a Cabal Mind Control Psy-Op right now that they think is reality. Those that have looked at the info I have presented have seen that I have ALWAYS asked you to use your own discernment filter. I have Never given the impression that I am a Guru, have all the answers or that the Sphere Being Alliance are “Saviors”. I say stop going from website to website looking for people to tell you what to think about any material. Do the research yourself and then you will discern what resonates as truth. Skepticism is to be expected with all of the different dates and promises that have come and gone. Much of this however has been different than healthy skepticism however. I do think that people should be careful of what they are saying online especially when they have left such a clear trail of communications with other parties out there that will just be extremely embarrassing if they were to surface. If they are not embarrassed by the behavior displayed in some of these communication trails then it is more of an ethical issue. It is also wise to not do anything that will scare away those who are on the fence about coming forward with their experiences and knowledge. If your actions are based on just because you do not like a researcher (jealousy/rivalry?) they are working with or some of their info contradicts your beliefs then you may have lost sight of what is important while rationalizing it and wrapping yourself in your beliefs. I have no problem with skeptics, but now that anyone can open a blog and make just about any claim they wish or attack anyone they like with manufactured data and we have once respected researchers glumming onto that info without fully researching the data and then going on the attack they become trolls. There is a difference between an intellectual discourse and attack campaigns. This type of behavior is to be expected on all of these hate filled Internet Forums and many blogs. Serious and “Professional” researchers however acting the way that has occurred is something completely different. This not only has the potential to seriously tarnish reputations (where NO one credible will want to interview with) to even ripping apart the loosely nit group of professionals in the “Ufology” or “Truther” field. Trust will certainly be damaged and a certain amount of doubt could cloud the field for years. We have ignored most of the attacks that were co-ordinated for the week of our show Cosmic Disclosure’s release. A few people were suckered into comments during that time window but if you look at the people, dates of their “reports”, the contents of the reports along with the fact that a group of them were collaborating in Skypes/Emails rules “coincidence” out of the equation of the timing. The fact is I never planned on coming out into the open. I was manipulated and coerced into it by a couple of unethical individuals who I had great trust and admiration for at one time. No matter how they try to rewrite the history of what occurred behind the scenes between us the evidence will always speak for itself if the need ever arises to publish it amid more attacks that are based on dis-information and lies. I have no problem with genuine skeptics or people who disagree with me (I will not label them a troll just for that). We all live in our own reality bubble as it is until we are forced out of it at some point. In closing all I can say is do the research yourself, use YOUR OWN discernment on the info presented and not just parrott data blogged about by often unstable or just misinformed individuals. There is a LOT of disinformation in this field right now and there is also a LOT of Extreme Narcissism and Christ Complexes working high up in this field. Where we are seeking humility and enlightenment in professionals we are often receiving Egomania and battle over UFO Dogma or defending their Core Content for their upcoming books. If everyone begins to look a little deeper and question agenda’s of the attackers quite a lot begins to become more transparent… I hope that response covers Patricia & Justin’s questions/comments above. Sphere Being Alliance Hello, I am currently working on an update. 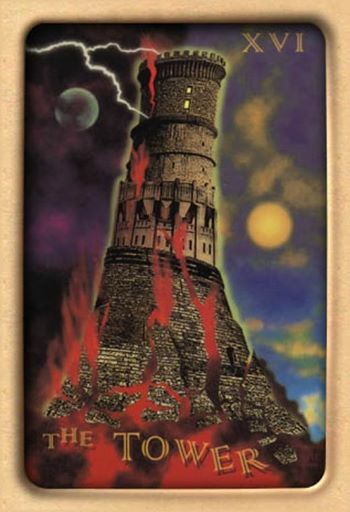 The info for it is unfolding and as a part of that scenario I was asked to post an image of a certain Tarot Card (Admittedly Strange). From background chatter it sounds like right now is a good time to be either a defector from this group know as the Cabal and join the opposition or take part in the preparation of the World for a full disclosure by coming forward in that arena as a whistleblower. I hope to have more to report soon. Sphere Being Alliance I agree, I was under the impression that there was going to be a flood of new experiencers that were going to come forward. I think many have been watching to see what happens to me. As I stated in Dr. Salla’s article, they will most likely all hide their full data out of fear of being attacked. I think until the smear campaign against MILABs has been cleaned up and people educated in the hundreds of programs that fall under that umbrella the better things will be for future whistle blowers. As long as people are going to snap judge everyone under that umbrella as a “Super Soldier” and as a cabal mind controlled stooge the better for those coming out in the future. The vast majority of people who have worked inside these programs have been apart of one type of MILAB program or another at some point in their lives. These people have been victims by the cabal and being victimized by someone from the truther or enlightened community can make one feel like their on the business end of a witch hunt, Of course there are people out there who are mentally ill or just looking for attention or money. Discernment should obviously be used with them and verify their data against that of known legit and vetted sources. Otherwise we are going to begin to miss half the story because of a huge label that few understand and almost everyone associates with a super soldier. I am hoping that some experiencers begin to come forward soon. I would very much like for the stage to become crowded with legit (Non-Disinfo or Partial Disclosure People) whistleblowers. 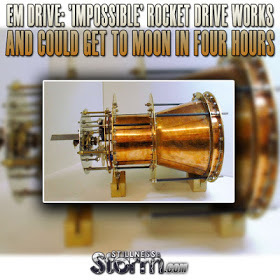 Sphere Being Alliance Here is an interesting article about EM Drives.There has been an interesting amount of soft disclosure by the establishment recently. The Secret Earth Governments (& their many syndicates) are also pursuing clemency deals with the “Earth Based Alliances”. After the recent rejection of the last Royal White Draco/Committee of 200 (Chairmen) “Offer/Threat” there has been heavy monitoring of these groups in case they were looking to make good on the threats that were disguised as an offer. 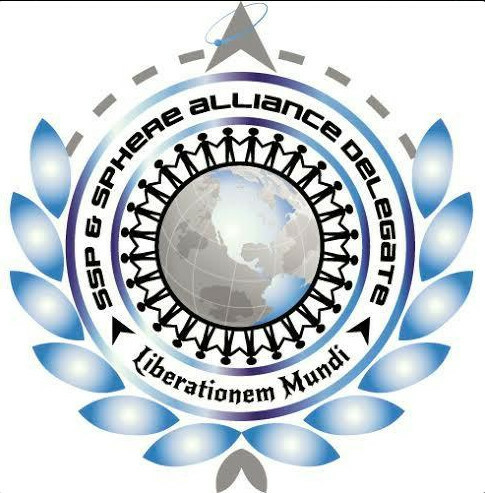 The Sphere Being Alliance communicated to the SSP Alliance Council that this was not a deal that the SBA were able to make. It is humanities deal to work out. It was made clear that it was going to be completely up to humanity what type of experiences we will go through next. 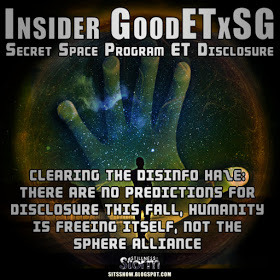 Those that were at a level of the Earth Based Alliance Groups that have been getting access to various levels or versions of the cosmic disclosures that are unfolding are said to be making deals that they are not authorized to make as a legitimate organization that represents humanity. Everyone, including the SSP Alliance is going to have to stand before a true representative body of humanity before all is said and done. As stated, even though many of these people are well intentioned and honorable in their goals, they are also people that will need a lot of healing before they can return to society. It is becoming apparent that some of these grass roots groups to start International Courts and Tribunals based on Natural Law may be something that many of us need to get behind in one way or another. [Synchronistically, Julian and I have been working loosely with the International Tribunal for Natural Justice (ITNJ) specifically because we recognize that Natural Law is the system for addressing the injustices of our age. It is the same system which recognizes individual sovereignty, seeks to compassionately stop the harm of others, without also harming them in return. And is also the same philosophy described by the Law of One Material, and countless other spiritual works. If “WE” are going to be the ones that free ourselves using the tool of our mass consciousness then maybe we should go about manifesting that change on all levels. I say keep up the loving and forgiving thoughts and meditative focus on becoming service to others on basis. Now it is time for more people to come out of the shadows and tell what they know. Now is also the time to be a peaceful catalyst in making things happen. A good deal of the information I have received from the BA’s recently has been more of a personal and spiritual nature as well as reminders of talking about high vibrational food while eating lousy or allowing myself to hold a grudge against someone only because they do with me. It is certainly difficult to practice what you are told to preach (so to speak) and extremely difficult to walk the Service To Others Path. [In my view, one definition of ‘Service to Others’ is: seeking to manifest your desires in harmony with all others, or that we should not harm ourselves or others. Its an old message, echoed in countless works, but actually living it on our world of co-dependency and socially acceptable trauma based mind control conditioning is difficult. We are taught to accept a morally relativistic stance by society, where we can harm others if they harmed us (eye for an eye). But Natural justice, the Service to Others path, seeks to honor others, even when they want to harm us. To let go of past grievances, while also taking steps to ensure we are not abused or taken advantage of. It turns out that often we can get pretty good at becoming giving, loving and forgiving of others. When it comes to ourselves however we have a underlying feeling that we are still not worthy of that forgiveness. I will cover a few bits of info in the new update including information about the latest offer from the royal while draco being turned down as well as a meeting between the underworld groups. It turns out that Gonzales has been meeting with a sort of council of representatives from the various ancient breakaway civilization groups and non human groups that consider themselves indigenous to the Earth. Some of these groups have not always been the most positive groups towards humanity but after recent subterranean skirmishes against the Secret Earth Governments, their syndicates as well as their allied off world groups they have given up some of their isolationist traditions and began meeting openly with groups they once hid their existence from. The area’s under Tibet were hit hard and are expected to be obvious targets in the future. So far there has been no real response from the Committee of 200 faction after receiving the denial of their clemency proposal. Gonzales told me to tighten up my seatbelt but I told him the controlled demolition of this huge Earth/Space industrial machine that the cabal was going to be a bumpy ride anyway. 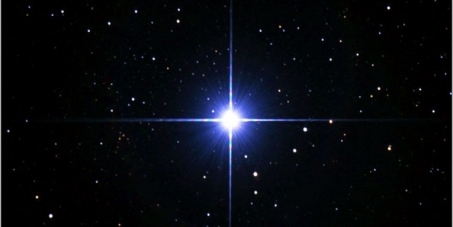 Gonzales stated that recent observations show that the “AI Threat” has made its way into the consciousness of humanity. The SSP Alliance considers this just one of the disclosure successes that I and DW (& Everyone who helped pass the info) were able to get out there in a larger way. There is quite a lot more work to do. We do need to make it known to everyone and to “Source” itself that we are ready for a “Full Disclosure Event” followed by a world court that would allow all of humanity to have a say. The SSP Alliance has proposed the above as well as the release of heavily suppressed technologies. There are a large number of groups on the Earth that are all saying they are better than the cabal, ready to step in and take over ruling in a similar way. These various alliance groups have been engaged in negotiations with the opposition and even being infiltrated by them. There are a few challenges we need to deal with right now. It is good that people are waking up and are ready to engage the world around them. The time has come for everyone to do their part. I will get this report our before our quick Florida vacation before the kids start back to school. I have to admit I was more than a little overwhelmed with all of the contacts and interview requests. I am having to upgrade my web host with all of the traffic as well as a few reported glitches. I am not going to be able to catch up on email anytime soon. If you have sent me an interview request for your show I apologize for my lack of response the last couple of weeks. I need to change the site to notify me at an email address that I see more often when I get an interview request. I am going to try to get some interviews knocked out with a few people ASAP. If you have submitted an interview request through my web site please also do it through the email address: SphereBeingAlliance@Gmail.Com and add “Interview”/Show Name in the subject line. I look forward to doing some shows in the near future. I plan on chatting with DW tonight. I am not sure if we will be doing joint interviews or not in the future. I kind of liked how the last one went. Thank you for all the recent support amid some interesting times. I hope to have the update very soon. NOTE: This is sort of an old Tesla era looking device in my opinion (A part of soft disclosure). Notice the “Bell Shape” of the drive? aradigm taking place in astronomy and space exploration. A decade ago, the prospect of finding ET life was ridiculed, but now mainstream science has begun to acknowledge what many alternative researchers have already come to understand. In conjunction with this, there is more soft disclosure of secret government projects coming out. Apparently we have already developed the technology to bring ET home. If this is true, then we also have a profound level of advanced technology already developed. The following article discussing an EM or electromagnetic drive could be a confirmation of what several whistleblowers have claimed.